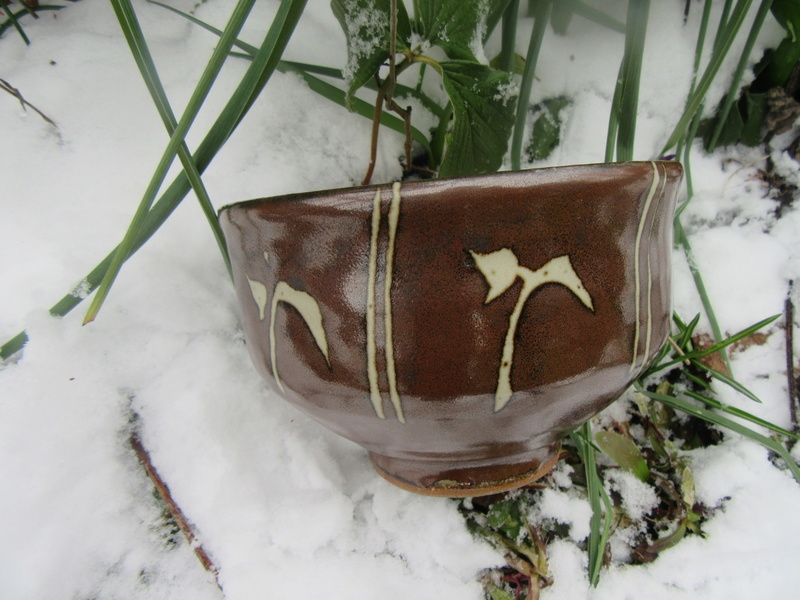 Works mainly in stoneware, producing mostly functional pottery. 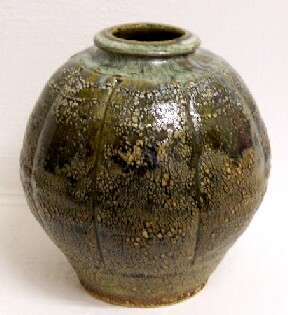 Ash (I believe) glazed stoneware. 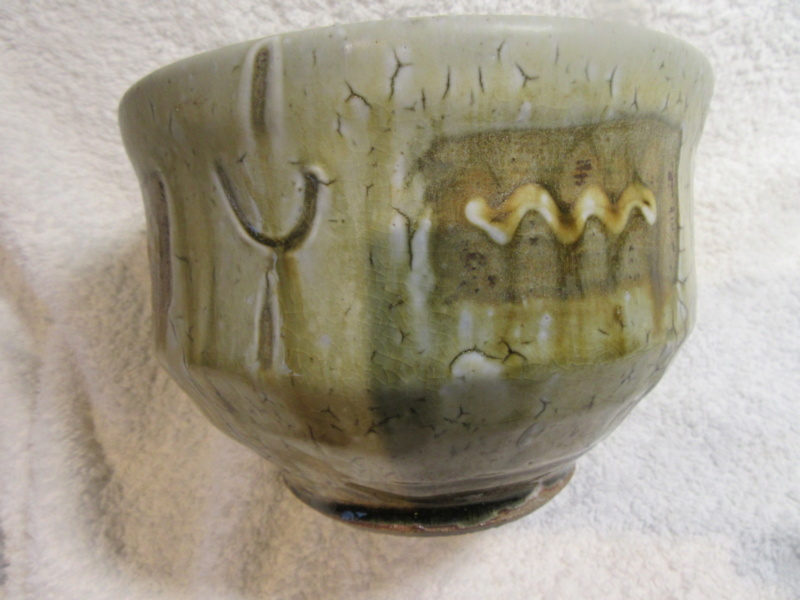 I can't show a picture of the mark as it is mostly obscured by the glaze. Nice one - love his work too. 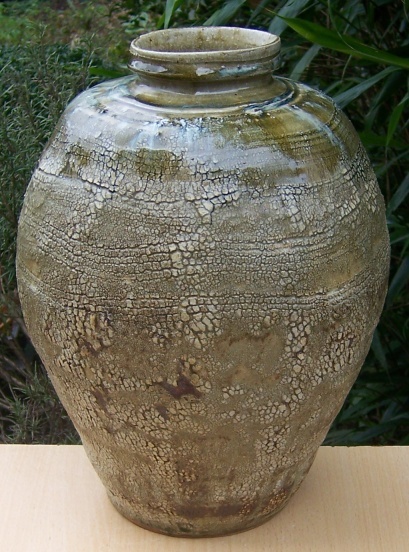 Got this sizeable piece off ebay last year - ash glazed stoneware 13cm (height) 22cm (diameter), made c1994. Nice bowl, thanks for adding the mark. Hope that you don't mind me removing "Somerset" from your title Potty but the lad has moved about during his career i.e. various places in Sussex, Cornwall, Peru (west of Cornwall), Cumbria and Dorset before finally settling in Somerset in 1999. Another point to make is that it is not uncommon for Mike's impressed seal to be covered in glaze, as with the lidded jar above. 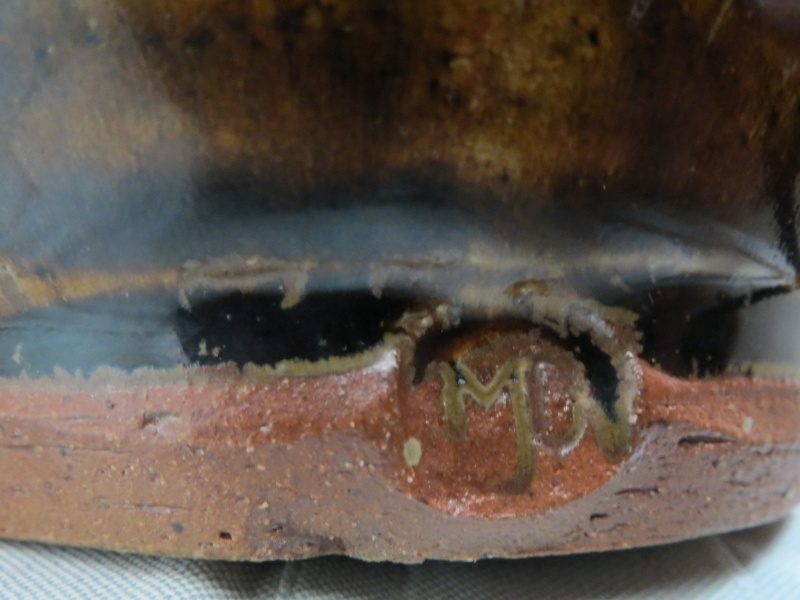 Therefore if a pot looks like Mike's and the seal is obscured it is likely to be his work. Mile Dodd wrote an autobiography in 2004.published in hardback form by Canterton Books. Entitled AN AUTOBIOGRAPHY OF SORTS.Excellent book,with many fine photographs. The famed Goldmark gallery have also held several exhibitions of his work,with accompanying catalogues superbly illustrated.Well worth getting hold of. 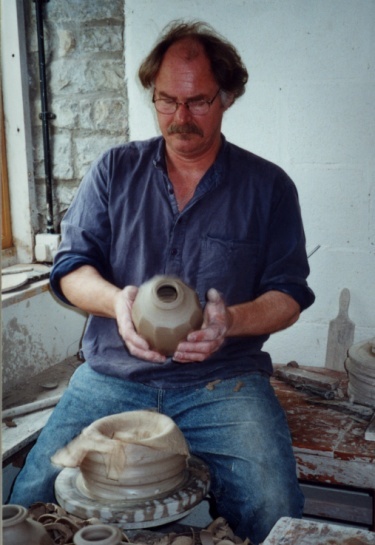 There are also several videos on their website,including several of him talking about his pots,and especially this 23 minute special film on Mike Dodd and his pots. 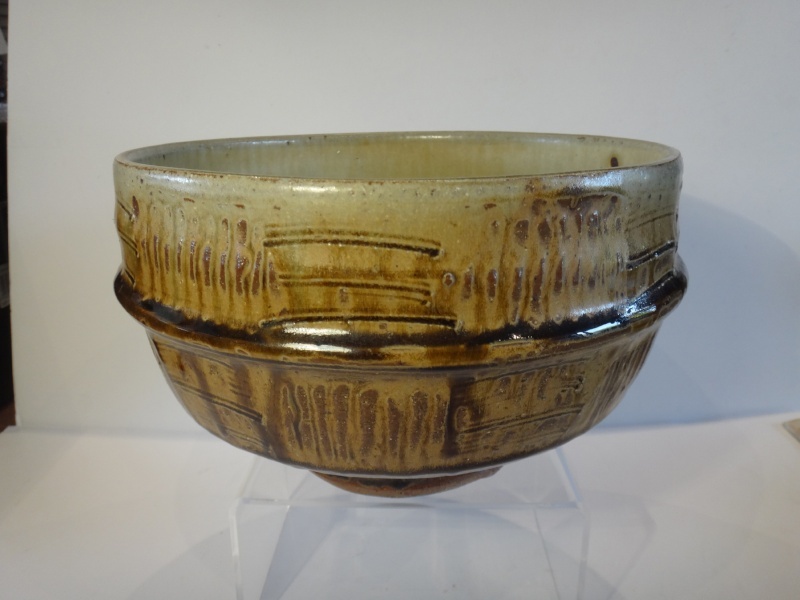 Mike Dodd of course is always talked of in the same light as that trio of leading post-war Leach style potters.Phil Rogers,Jim Malone and Mike Dodd. It is an ever interesting on-going debate,as who is the best potter. 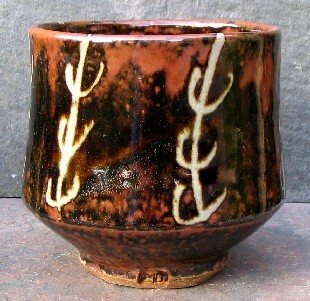 I must agree with Studio-Pots about Mike Dodd's signature. Never had a potter with so many in-filled glaze signatures. 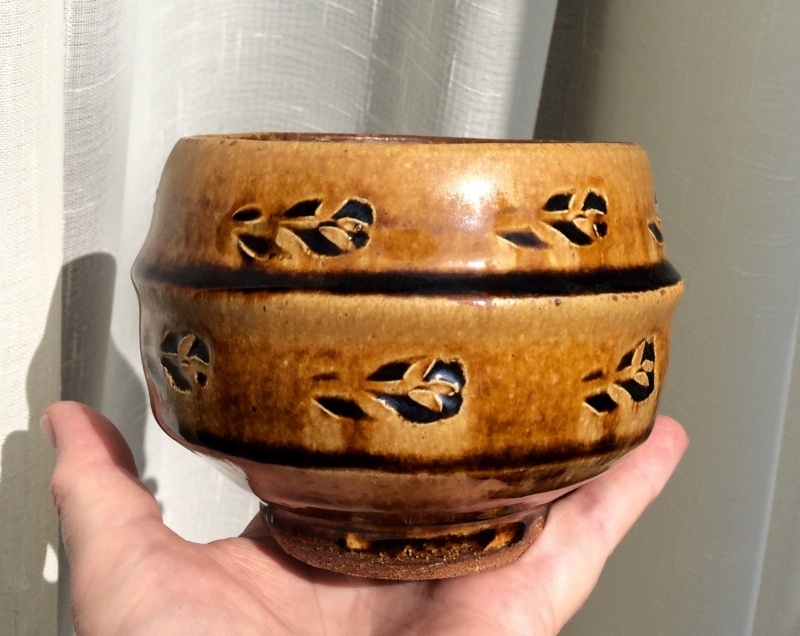 I have several of his pots,and they nearly all have this fault. This is probably the best signature.but still not perfect. Found another of those textured vases under the house. This one is around 33cm tall. The Mike Dodd Goldmark film quoted in 2013 is now to be found on youtube.